In Hustle three generations of men—an alcoholic ex‑conman grandfather, a restless philandering seafood salesman son, and a hopeful musician grandson—struggle to make up for their past and somehow set course for their future. But their problem is with the present. The grandfather has hustled for money and now he’s hustling for redemption. The son has hustled for women and now he’s hustling for love of a different sort. His son is hustling to be a musician—a famous musician with enough money to solve his family’s unsolvable problems—though he knows neither hustling nor money is enough. 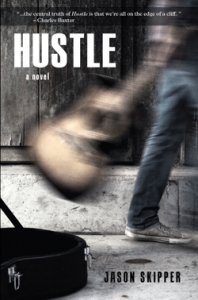 Noted for its humor, vitality, and honesty, Hustle follows Chris Saxton’s difficult adolescence and the people who drift in and out of his life, exploring the ways people struggle to fulfill their desires—and what they are willing to sacrifice to feel free. What do the generations owe each other? Everything and nothing, Jason Skipper’s beautifully plain-spoken novel tells us, as it invites us to watch its young protagonist learning his hardscrabble survival skills from a few amazingly unreliable mentors. Some human truths need to be presented without embellishment, and the central truth of Hustle is that we’re all on the edge of a cliff. This is a fine story, honestly told. A Southern portrait of the artist as a young man, with marvelous characters that keep you reading and savoring every scene. 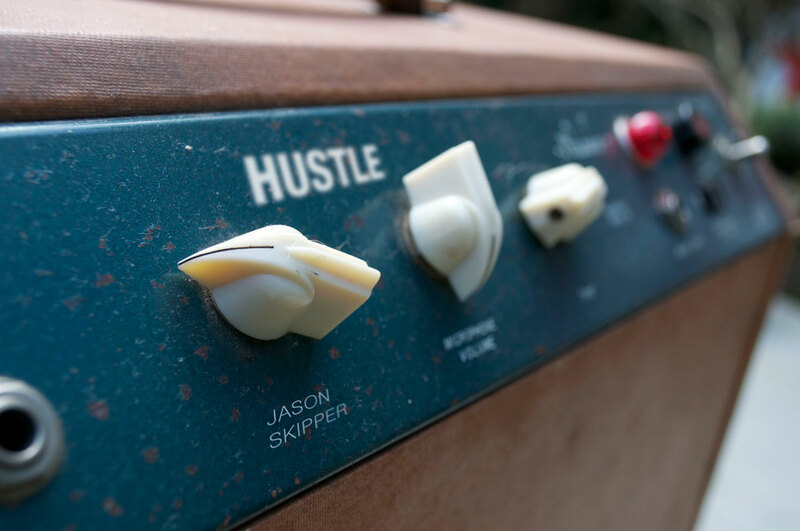 If works of fiction could be harnessed as alternative sources of clean energy, then Jason Skipper’s assured debut novel, Hustle, would be lighting up a town. Skipper’s ability to convey place reminds one of the best stories from the American South, and the memorable, vital characters that populate this book are those a reader opens a novel hoping to encounter. Jason Skipper’s exuberant novel, Hustle, explores the ties that—in some cases literally—bind us and all the crazy places these ties lead us. It’s a funny, soulful, and vividly imagined book. Evidently, Jason Skipper was somebody’s big secret until now. I just don’t know how they kept him from us. Well, secret no more, folks; this genie’s out of the bottle. Jason Skipper’s Hustle is more than a promising first novel by an insanely talented writer; it is a haunting and ultimately exhilarating novel of the first order. He’s breathed life into Chris Saxton and his benighted family, and they have breathed life into me. When I finished Hustle, I walked around for days seeing the world through its lens. Do yourself a favor, buy this book, settle into a comfy chair, and read—you will not want to stop.